The banshee (sometimes called a capri) is a delicious drink that tastes like a chocolate-covered banana. 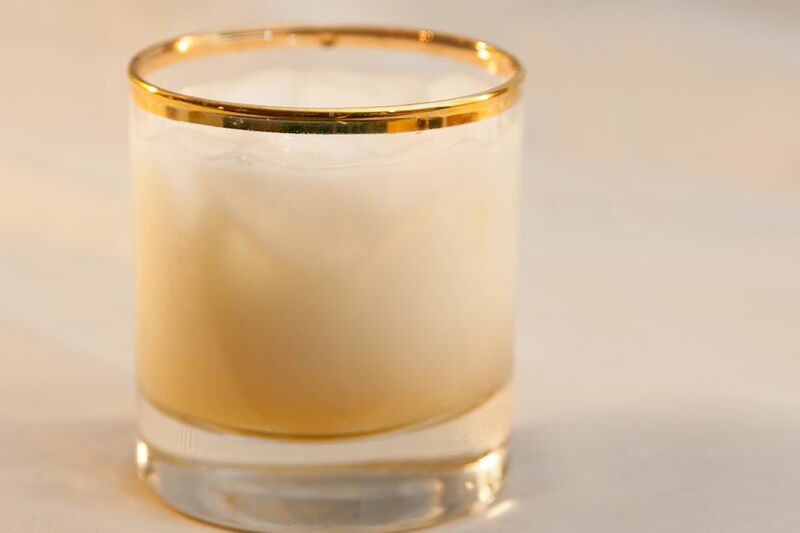 It's a throwback cocktail of sorts that was extremely popular in the 1980s and '90s when the white Russian was all the rage (more than it is today). Made in the same way as that popular drink, the banshee skips the vodka and coffee liqueur, using banana and chocolate liqueurs instead. It's absolutely delicious and a wonderful treat whenever you're in the mood for a creamy, low-proof cocktail. In an old-fashioned glass filled with ice, pour the liqueurs. Fill the glass with milk or cream. Cover the glass with a shaker tin and shake. The customary way to mix a banshee is to place a tin or second glass over the serving glass and give it a good shake. You need to be careful when doing this so you don't spill. Make sure the second vessel is a secure fit for your glass and hold both pieces securely without tilting them. Shake it in an up and down motion once or twice. If you prefer, shake the drink in your cocktail shaker as normal or build the drink over ice in the serving glass and stir it very well to froth up the milk. For the banana liqueur, you have a few options. Look for crème de banane, banana schnapps, or other liqueurs like 99 Bananas. It's perfectly fine to use dark crème de cacao or another chocolate liqueur. The brown color will alter the drink's appearance slightly so it won't have the yellow hue, but it will taste the same. The choice of dairy product is going to be a matter of personal preference. Milk will create a lighter cocktail and cream a significantly heavier one. You can also take the middle ground and pour half and half. You can also use dairy alternatives, such as soy or almond milk if you prefer. Serve the banshee up in a cocktail glass if you like. Since you won't add ice, be sure to chill the glass and shake the drink, straining out the ice. Add a banana split-like twist with a drizzle of strawberry syrup. If you like the banshee, try the RumChata banana cream pie. It's a very similar recipe that combines the cream liqueur with banana liqueur. You can even use RumChata in the banshee in place of the cream. How Strong Is a Banshee? Even with the strongest options for both liqueurs, the banshee is a light cocktail. It should weigh in at just 9 percent ABV (18 proof), but this can also vary depending on how much milk or cream you pour.